Gracie was born in captivity in the eastern United States. She was confiscated by the Nevada Department of Wildlife due to permit violations when a warden saw her at a travel trailer near Elko. Department officials delivered the very young, 9 ½ pound cub to the Animal Ark on April 22. Like any young animal, she required a great deal of specialized care in bottle feeding, diet, housing, nurturing and exercise. The individual who transported the cub illegally across state lines and then sold her as a pet was charged and found guilty for the offense. Animal Ark in cooperation with NDOW has successfully released a number of orphaned bears back into the wild. Because of Gracie’s history, she is destined to live the rest of her life in captivity. 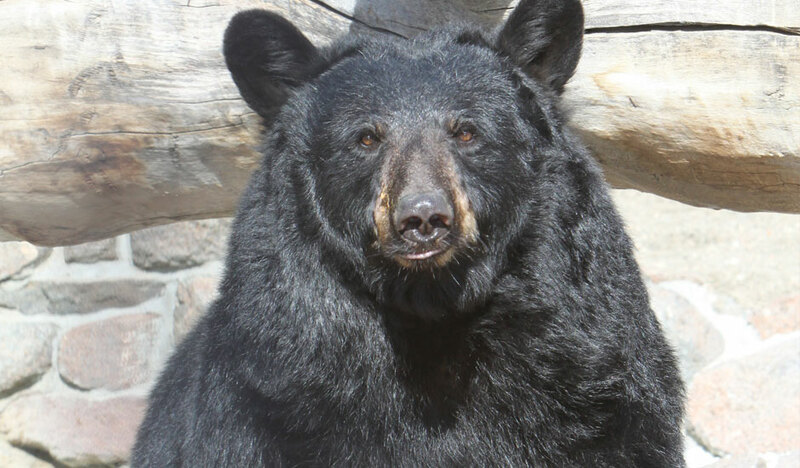 Learn more about the North American Black Bear.